Daylight savings has started here, so long evenings have come into existence and spring is upon us. I arrived home from a weekend away where I had a lot of conversations about climate change and the prospects of halting it. What better way to celebrate such a happy and inspiring event than by planting?! 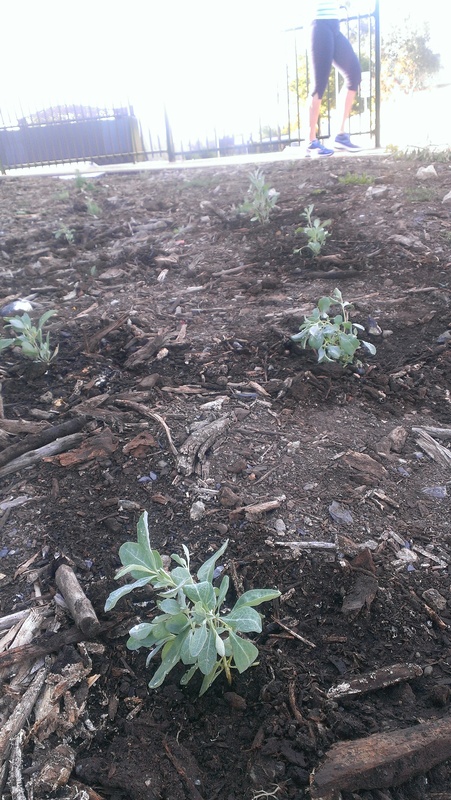 This time, I planted out mostly bladder saltbush. I think it is a really pretty plant, and I’ve had some success propagating. They went into a triangle of land where I have planted dozens of shrubs and saltbush and a tree, beside a footpath. Most are doing remarkably well. I clustered them together so one day they might make quite a display of silver foliage. I did a bit of weeding too. Next stop was inside the fenced off area for the railway. Don’t tell. I wasn’t ever near the line. There is a spot where lots of tall weeds are growing, which shows something could grow there. I ripped out the weeds as best I could and found they were mostly growing in blue metal. 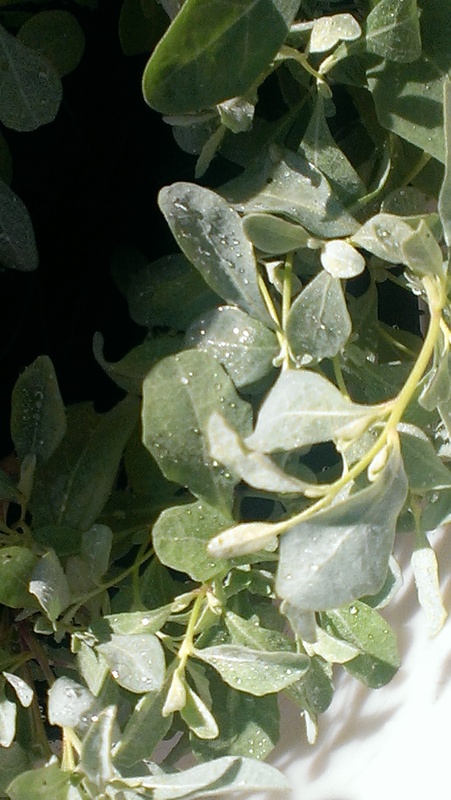 May the saltbush and boobialla I planted sink roots down to the places the weeds were finding nourishment! That was some tough digging. 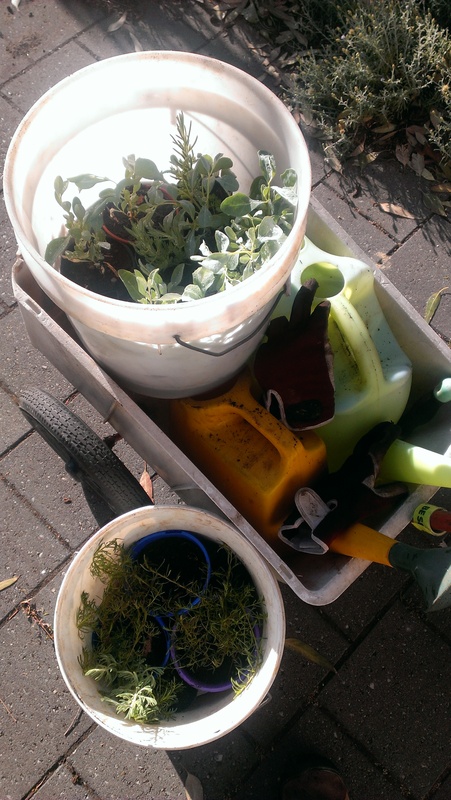 Finally, home again with weeds and rubbish and empty containers ready to receive the plants that are sprouting now! My spring native seed planting has begun to produce seedlings. Not to mention the vegetable and Japanese Indigo plantings… Spring is an exciting time, especially if you don’t think about summer too much! 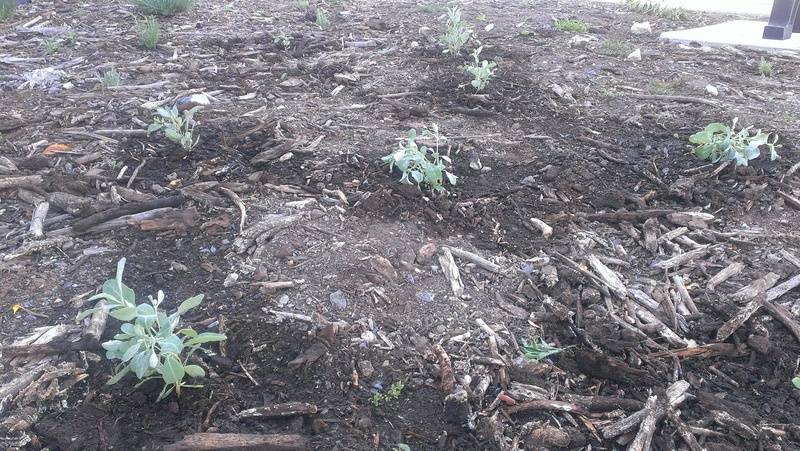 A few days after I did this planting and drafted the post–I arrived home from work about half an hour before sunset to find the whole triangle had been mulched. This is great news for weeding and for water retention, as this is really exposed land that has had no cover for a couple of years now. However–about twenty plants had vanished, including the E Nicholii I had planted. I hurried home, changed into gardening kit and started scrabbling in the mulch trying to retrieve plants. There is now a watering system (or at least, pipes for one), in there under the mulch, so there must be planting plans (other than mine, of course). 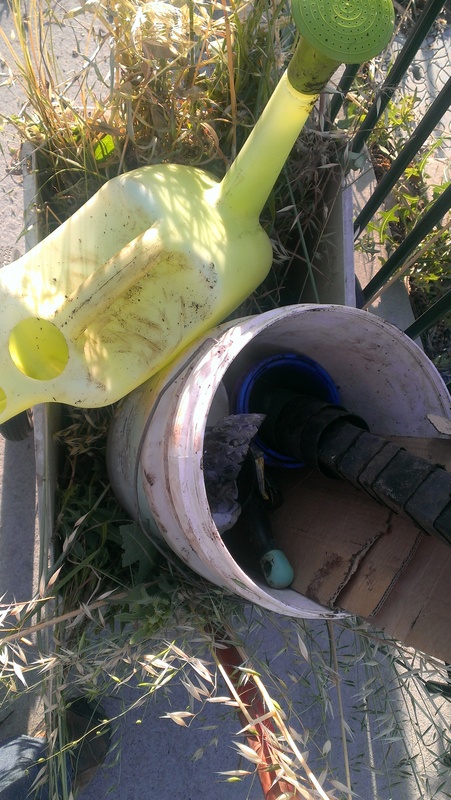 So I assume some plants were destroyed in the process of putting the watering system in and others just buried–but I wasn’t able to retrieve many. Dozens are still there and had been carefully mulched and left standing. Now to wait and see what else is going to happen after this surprise event! I hope you manage to save some of the plants but what promise the mulch may bring! I think it is wonderful that you have been quietly busy doing some guerrilla gardening. 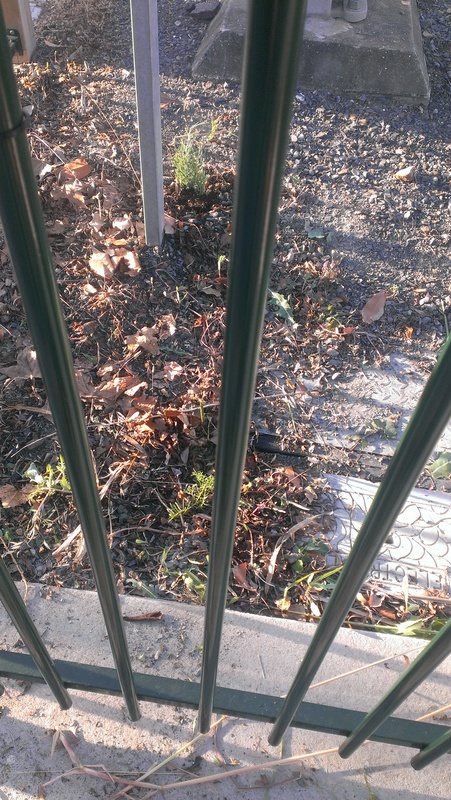 I have been mulching the much neglected bottlebrush trees in our very urban busy street with their spent red flowers, I will bring up some wood mulch later…. I am hoping that if other people see everything looking a little more cared for they may feel up to doing a bit of caring themselves. Time will tell. But maybe those plants are no truly ‘lost’…….they may just pop up! Hi Susan, I live in hope. The little statice plants had been completely covered but their flower stems (no flowers yet) were sticking out like antennae that let me find them and dig them out! I love the daylight savings time. Sorry it doesn’t float your boat!